BPW is leading women and girls in life-changing education and empowerment opportunities. By becoming a Friend of BPW Australia you will be assisting us to continue our work to educate and empower many women and girls to reach their true potential through special projects in Australia and overseas. Do you support the Aims of BPW? Since being established in 1947, BPW Australia has been successful in both metropolitan and regional areas providing direct avenues for Australian women to assist other women and girls who need support to fulfill their educational and entrepreneurial dreams. Providing regular meetings where women benefit from a professional development program and the chance to give back by providing mentoring services to women through BPW groups around the world. By equipping women with scholarships to educational institutions, the purchase of training resources and facilitating workshops, BPW members have been influential in helping women and girls gain education, confidence and greater opportunities where they live. Business & Professional Women Australia (BPWA) is an incorporated not-for-profit organisation to support and raise the status of women. Through the BPW International network, Australian members gain opportunities to interact and exchange information and opportunities that foster international understanding. With a focus on education and training as the way to independence and economic security, BPWA members support local and international programs. Sustained by BPWA membership, sponsors, supporters and volunteers. 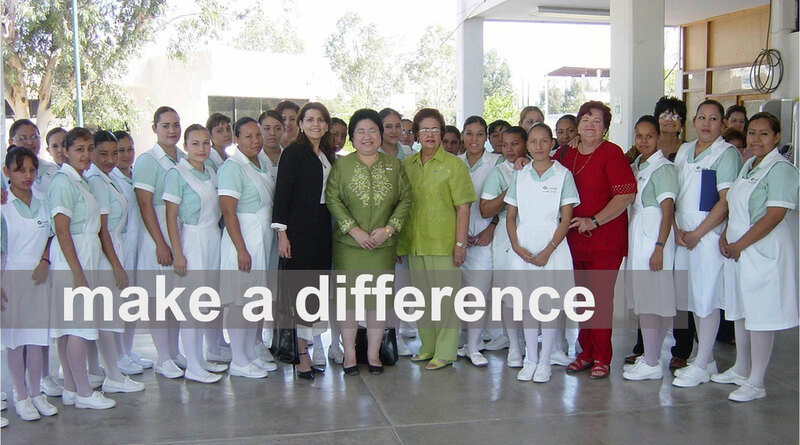 Founded by donations from women worldwide, the nursing school provides opportunities for women and girls to gain nursing qualifications since 1992. BPW Australia members have been sponsoring participants to join this education program for many years. Following graduation, the majority of students return to their local villages to work as nurse who are in great demand because of the scarcity of health facilities. Education is at the very heart of a successful working life for women and girls all over the world. We know, though, that in many countries girls do not get the education they need to start them on the path to a successful working and personal life. Schools may be remote; parents may not see the value of education for a girl or at all; the costs make it impossible – and where a choice has to be made between sending a boy or a girl, the girl invariably loses out. What most people do not know, though, is that many girls are kept out of school either permanently or every month because they do not have the skills nor the materials to cope with something as ‘fundamentally female’ as menstruation. 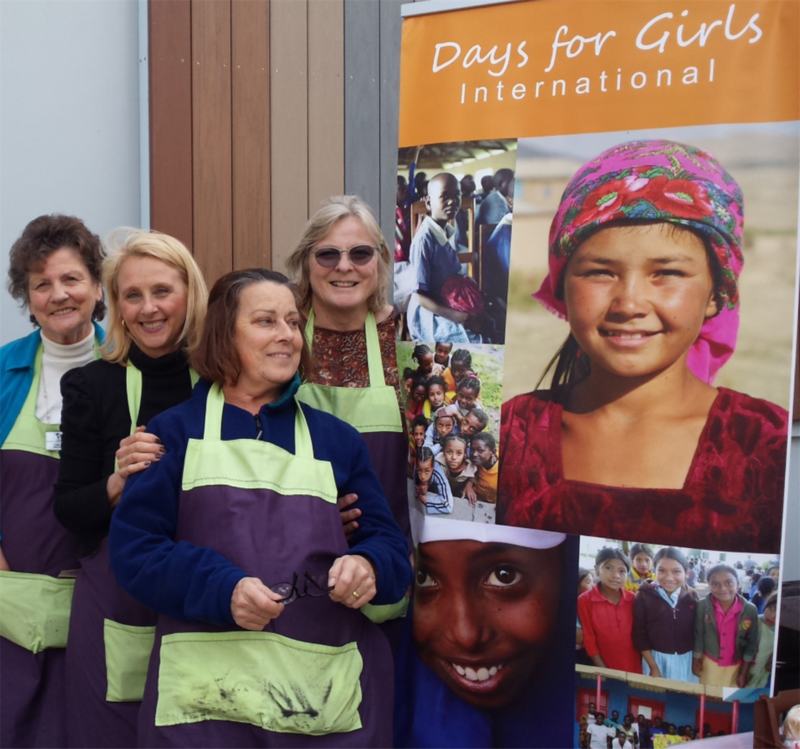 Day for Girls raises awareness of this obstacle, and produces and distributes sustainable feminine hygiene kits to help girls with period management and education as a key to social change. Members of BPW Australia continue to support the education of women and girls in PNG and provide new future work opportunities. unable to join as a full BPW members but who does support the Aims & Objectives of BPW.